I made sure that the ebook version of Cindercast: A Tale of Tides works great on normal screens and e-ink. 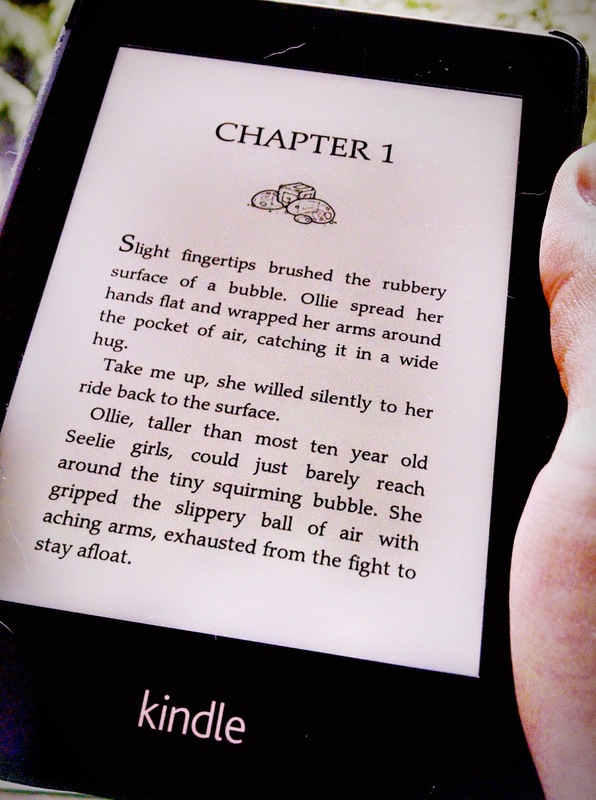 Here is the first page on a Kindle paperwhite. Everything works perfectly and the full page illustrations also look amazing with the e-ink tech.